As a biochemistry major, I’ve always been fascinated by the technical details that go into scientific animations. Let me tell you first hand that they do help greatly, and thanks to our partners over at Cineversity, the Dojo is able to show you how scientific animations are created firsthand by industry professionals. In these NAB 2015 presentations, three scientific and medical animation artists give us a peek into how they build stunning recreations of worlds invisible to the naked eye. NAB 2015 Rewind – Joel Dubin: X-Particles for Micro Medical Animation from Cineversity. Joel Dubin provides a step-by-step tutorial demonstrating how to visualize a B-Lymphocyte using Cinema 4D and X-Particles. 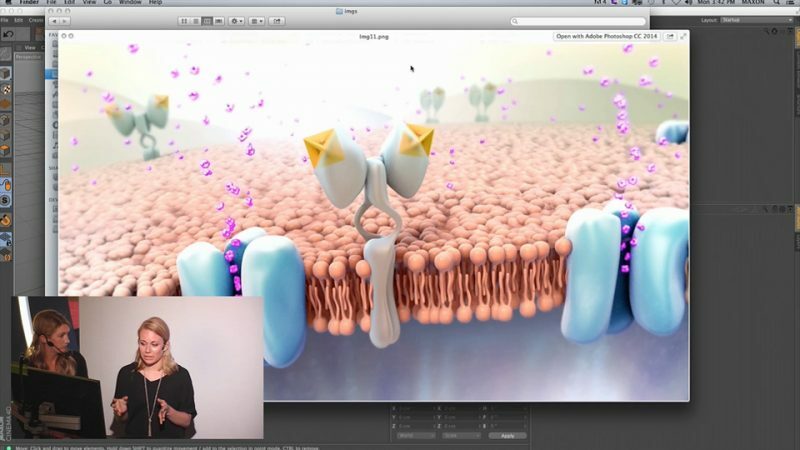 NAB 2015 Rewind – Nucleus Medical Inc: Medical Storytelling: The Art of Cellular 3D Animation from Cineversity. Heidi Sinsel and Elizabeth McDonald from Nucleus Medical Inc. demonstrate how they use animation software Cinema 4D to visualize cellular processes.